SEOUL, South Korea, March 20, 2018 — Master the arts of essence and sophistication. This is the simple yet powerful design philosophy of LG SIGNATURE, the luxury premium brand that is redefining the concept of metro classy lifestyle. 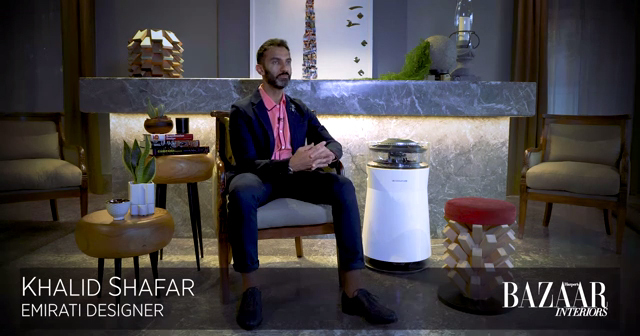 LG SIGNATURE has teamed up with leading interior designers, architects and related experts residing in major cities in different countries including UK, Germany, and Australia, where LG SIGNATURE has launched. Their use of LG SIGNATURE products at home seamlessly fit into spaces for metro classy living. The campaign’s latest focus is on interior, creation and design. But most instrumental in the promotion of this brand’s message and philosophy are how the influencers incorporate LG SIGNATURE products at home. LG SIGNATURE has helped shape the living spaces of the experts group to help them achieve more and do better in their professions and lives. The influencers offer keen insight into how the brand’s products have livened up the influencers’ living spaces. Hadi Teherani of Germany, an influential architect, expressed part of the brand’s philosophy when he said, “Good design must be functional on the one hand. On the other hand, you should be able to feel comfortable”, this is shown by his use of LG SIGNATURE products at his residence. Compatriot Ashley Hicks, a fabulous English interior designer, said “The home should express its owner’s personalities, reveal the loves and fascinations, and be comfortable and relaxing to live in, and beautiful to look at”, something LG SIGNATURE strives for. Similar sentiments were shared by the other experts taking part in this ambitious campaign, notably, Darren Palmer, an interior designer and TV personality in Australia; Stefan Diez, an industrial designer in Germany; Andrea Savage, Partner and Project Director at an interior design company in Singapore; Daphne Teo, Chief Investment Officer in Singapore; Jason Pomeroy, an Eco-architect, academic, author and TV personality in Singapore; and Khalid Shafar, an interior designer in the United Arab Emirates. LG SIGNATURE’s message and philosophy exercise a universal appeal as seen in the alliance with influencers in the five world regions. High sophistication and taste are appreciated irrespective of country, so explore the myriad of ways to explore the high life offered by LG SIGNATURE. LG SIGNATURE is LG Electronics’ first ultra-premium brand. By uniting the best of LG technology and design under a single brand, LG SIGNATURE offers consumers a collection that boasts subtle elegance and top-notch performance. 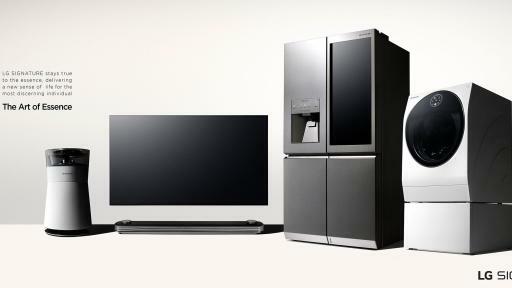 The range of LG SIGNATURE products currently includes a door-in-door refrigerator, a TWINWash washing machine, a special air purifier and the award-winning OLED wallpaper TV “W7”. All LG SIGNATURE products have one thing in common: uncompromising quality and a focus on the essentials. LG SIGNATURE products have won a number of industry awards for both technological innovation and sophisticated design such as: the 2017 CES Best of Innovation Award, the iF Gold Award 2016, and the Red Dot Design Award 2016.